National Institute of Science and Technology Policy (NISTEP) celebrates its 30th anniversary this year. To commemorate this opportunity, a symposium will be held with the participation of world experts. 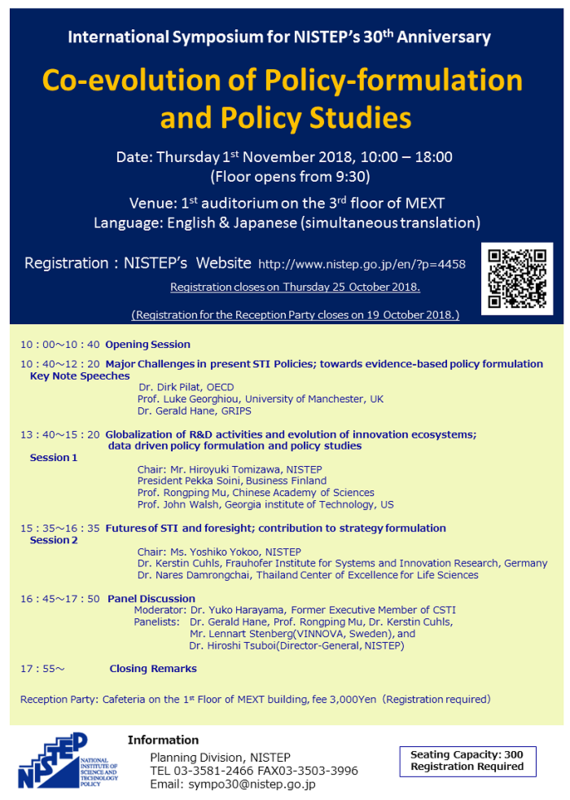 Looking over the 30 years, issues and futures of policy studies co-evolving with science, technology and innovation (STI) policy formulation will be discussed.